A deeply personal interview with author Toni Bernhard, author of the award-winning How to Be Sick, How to Wake Up, and, most recently, How to Live Well with Chronic Pain and Illness: A Mindful Guide. Michaela Haas: You quote Marie Curie, "Nothing in life is to be feared. It is only to be understood." How does this apply to chronic illness? Toni Bernhard: It's understandable that people get scared when their health falters. First of all, it triggers their fear about life's uncertainty. I refer to uncertainty throughout the book as one of life's stark realities: we simply don't control a lot of what happens to us; life is uncertain and unpredictable. Because this can generate fear, we'd do well to come to terms with this fact of life. When faced with something that we don't control (for example, the onset of chronic illness), instead of being afraid, as Marie Curie points out, we can work on understanding it. In this case, I'd say we can work on understanding that illness is an inevitable part of the life experience. We're in bodies and they get sick and injured and old. Once we understand that at a deep level, we can begin to accept it and that's the first step in appreciating the life we do have, even if it's limited by illness (or any other number of factors--where we live, where we work, our relationships). In 2001, my husband and I took a much-anticipated trip to Paris. Our plan was to immerse ourselves in Parisian life for three weeks. Instead, on the second day there, I got sick and spent those three weeks in bed. Everyone thought it was an acute virus, but it compromised my immune system in some way, and I never recovered. It has left me mostly housebound, often bedbound. I had no choice but to give up my career as a law professor. After several years of despair, I began to write from my bed--and a new world opened to me. What's your biggest challenge, and how do you work with it? My biggest challenge is accepting without bitterness that I can't be active with my family and friends. A few weeks ago, my husband, our two children, their spouses, our two grandchildren, and two of our best friends gathered in Reno for its annual Rib Fest. They spent three days together, visiting, eating (of course! ), and having a great time together. Reno is only two hours from where I live, but I couldn't go because this illness keeps me from traveling. I work with this challenge, first, by recognizing how emotionally painful it is for me to have to miss out on so much. Then I cultivate self-compassion, often talking silently to myself, using soothing words such as "It's so hard to be at home when I want so badly to be with everyone." Finally, I work on cultivating joy for them. All of us wish I could be there too, but no amount of wishing will change how my life is, so I work on feeling happy about the fun they're having. Sometimes I have to "fake it 'til I make it." I picture the good time they're having until, slowly but surely, I feel genuine happiness for them. That happiness may be tinged with sadness at times, but that's okay. We can be happy and sad at the same time. We need to be on guard against distorted messages about the nature of the human experience. These messages can easily become a source of self-blame when we're not able to live up to the cultural ideal. Mindfulness is helpful here--being aware of our present moment experience. For me, the most valuable aspect of mindfulness is becoming aware of what's going on in my mind. Am I believing these cultural messages simply because I've been hearing them for dozens of years? If so, it's time to start questioning their validity. Neuroscientists are finding that the mind is flexible and malleable, meaning that there's no reason to fear that our mental habits are set in stone. We can learn to question our conditioning, our beliefs, and our assumptions about life...and we can change! This questioning leads to a more realistic view of the human condition. One of those realities is that not everyone will enjoy good health throughout his or her life. Coming to terms with this brings with it a measure of peace and well-being. The alternative--fighting a militant battle against this reality--only adds mental suffering to our physical suffering. Rather than hit our heads against the wall in denial of what life is like, we can take our difficulties--whether they be illness, or conflict in a relationship, or problems on the job--as our starting point and, from there, see what we can do to make our lives as joyful as possible. Why do you refer to positive thinking as "the tyranny of positive thinking?" When people are told to always think positively, it sets them up for negative self-judgment when they don't feel upbeat 100 percent of the time. Everyone should feel free to be down once in a while. Even the Dalai Lama admitted that he still gets angry at times! Unfortunately, positive thinking is often pushed on people as a cure for all life's problems. The effect of this on the chronically ill is that it leaves them feeling as if they're to blame for their illness or pain because they just don't have a positive enough attitude. To set the record straight: Positive thinking is not a cure for chronic pain and illness. In my book Bouncing Forward I explore the new science of posttraumatic growth and I spoke with several people who took a severe crisis as a turning point in their lives to find more meaning, but this is not easy. How do we turn "straw into gold", as you call your Psychology Today blog? In my experience, the way to turn straw into gold is to take our life as it is today as our starting point. We have the life we've been given, with its problems and its challenges. The only way to live a life of purpose and to find a measure of peace and joy is to work within our limitations to do the best we can to alleviate suffering in ourselves and others. I had a very similar aha-moment you did, when you describe that you realized you couldn't force your body to get better, but you could heal your mind. What is your advice for moving from responding with aversion to our illness to responding with acceptance? The first step is to stop being averse to your aversion! When you try to push away how you're feeling, it tends to only strengthen the emotion. It's amazing how, when you acknowledge how you're feeling, even if it's a painful emotion, it loses its tight-fisted grip on you. And so, I recommend acknowledging with compassion for yourself that you wish you weren't sick or in pain, and then taking a realistic look at what you can and what you can't do about it. Once you accept your life as it is, something magical happens: you suddenly see new possibilities--things you can do despite your limitations--and a whole new life can open up for you. 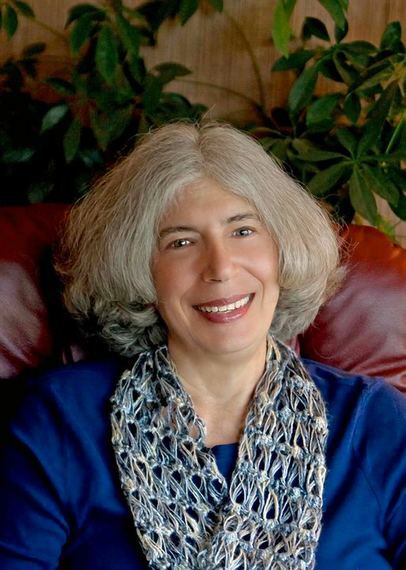 Before becoming ill, Toni Bernhard was a law professor at the University of California, Davis.